President Peter Mutharika on Thursday went on a defensive mode on the controversial K145 million that was deposited in the Democratic Progressive Party (DPP) account for which he is a sole signatory. He argued that it was an “honest” donation and there was nothing sinister about it. He has since said the Anti-Corruption Bureau is free to investigate the matter further. 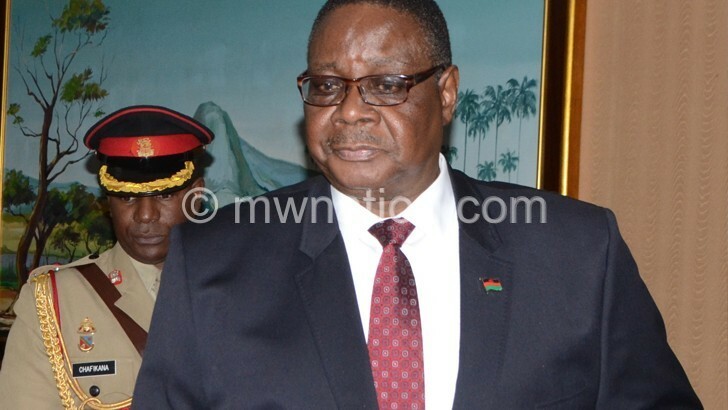 Speaking to Malawi Broadcasting Corporation’s (MBC) Talk to the President programme for the first time since the issue came in the limelight, Mutharika repeated claims his party has made before that he did not know the donation which is suspected to have been proceeds of a crime. He claimed no single cheque was written in his name and that some individuals he did not mention orchestrated the whole issue to blow it out of proportion. The President, who said it would be imperative that the Anti-Corruption Bureau (ACB) pursues the matter, further claimed that he has never interfered in the activities of the bureau, emphasising that it has always remained independent. Ironically, the programme did not contain what its promotional vignette promised such as on the justification of being a sole signatory for an organisation and the impossibility of creating one million jobs. But in a separate interview, governance expert Rafiq Hajat, said the decision the party made to repay the money implies that they were in the wrong. “You are talking about the President of Malawi and, therefore, we have to give him the benefit of the doubt. All it means is that somebody is caught up in the act and returning the money does not nullify that. Let the ACB tell us who has done what. “However, past occurrences like [how ACB handled] the George Chaponda case do not give rise to confidence. I think confidence of the ACB has been severely eroded and this whole K145 million saga would not even have been there if the media did not take it up and the civil society organisations [CSOs] had not taken it to court,” he said. According to Hajat, for transparency’s sake at the ACB, appointing powers of the ACB director by the President must be nullified and should be delegated to Parliament. But during the 30-minute programme broadcast yesterday evening, Mutharika said he sees no point in interfering in the ACB. Besides, Mutharika also said he will never speak against some politicians and individuals who are castigating him on numerous issues. He said he will leave them and talk all they can but will never respond as that is the old way of doing politics. Media reports and a leaked ACB document indicated that Mutharika was involved in a K2.3 billion Malawi Police Service and Pioneer Investments supply deal where he pocketed K145 million that the supplier deposited in a DPP account for which he is a sole signatory. And last week, the DPP said they would pay back the money, a decision law lecturer at Chancellor College, Mwiza Nkhata, said does not take away the suspected offence committed since the pay back maybe understood as admission of wrongdoing. 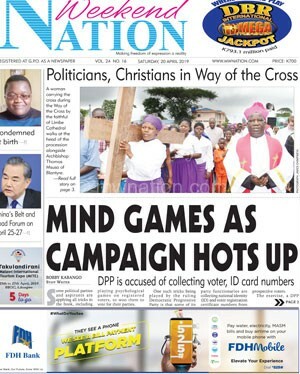 Malawi Law Society president Alfred Majamanda also told The Nation on Tuesday that the return of money by DPP could be construed as admission of guilt.